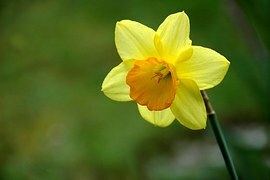 “searching for daffodils” now has it’s very own (http://www.searchingfordaffodils.com/)! The new site will still be similar to the old one, using the familiar WordPress framework. By moving the site to its own domain, it can be presented more professionally and there are a number of worthwhile benefits for the author and the consumer. For the time being, I will continue to post on the original site while I am putting the finishing touches on the new one. Thank you for believing in me and for being patient!